It is easy to overlook the profound labor that's at the root of our simplest technologies and luxuries. Like water, for instance. We go about our day as usual, without giving much thought to the work that was invested -- the brilliance of the concept, the strategy of making it work, the trial and error, the implementation to make it accessible in our everyday lives. When we wake in the sleepy hours of the morning and fumble our way to the kitchen, turn on the sink and fill up our water kettles to begin preparations for our morning coffee, many of us don't think twice about the source. We don't consider where the water came from, or the miracle it is to have it accessible in our homes. We don't worry whether it is clean or drinkable. We don't journey long hours to collect it, or struggle under its weight as we carry it home. Most of us, in that early hour, miss the miracle, though perhaps a few of us catch it. The simple truth is that having access to clean water takes tremendous work, and unfortunately, it isn't something that is accessible to everyone, at least not yet. 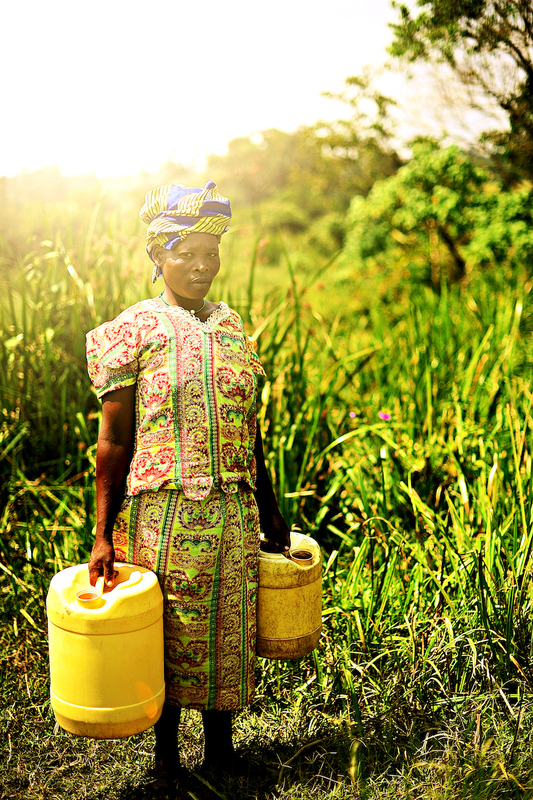 We believe in the work it takes to dig wells that will sustain life -- both in the natural and in the Spirit. This month, we are teaming up with our friends at Hydrating Humanity to support their mission of providing clean drinking water to those who do not have access to it. will sustain life -- both in the natural and in the Spirit. Join us on Saturday, January 27th as we worship the Lord and honor His vision to sustain life all over the world! Last year we raised $40,00 in just one night, and this year our goal is to raise $50,000! All ticket sales and donations from this Benefit Night will go specifically toward reaching people in Tanzania with clean water, hygiene education and the message of Jesus Christ. To learn more about Hydrating Humanity and to purchase tickets for this event, click here. Leading up to this event, we also want to inspire you and encourage you to begin digging wells in your heart with the Holy Spirit! This week's Cultivate feature comes from Volume III: Fly High, Build Home -- our issue that focuses specifically on sustainability. Access to Water, written by Cageless Birds staff JD Gravitt, is full of simple truth intended to open up a conversation between you and the Lord about where He wants to give you access to Himself. He is the source, the living water, the well that will never run dry. As you read this prompt, we invite you to get caught up in the privilege it is that our God makes Himself fully accessible to us. That day Isaac’s servants came and told him about the well they had dug. They said, ‘We’ve found water! (Genesis 26:32, NLT). We live in a culture with a “water-bottle” mentality. Often, we expect water to be easily accessible. We can get whatever kind of water we want almost as quickly as we think, “I’m thirsty.” This is quite a different mentality than that of digging your own well. Digging a well is a time-consuming process. It is a work of perseverance. Dirt and dust stand between you and the water. However, the reward of this hard work is an everlasting, dependable water source that will never run dry. The reward is sustainability for your life. in work clothes and with a shovel in hand. We miss the value of hard work, patience and faith if we approach God as solely an immediate “water-bottle” God. There is something special the Lord does in us when we take the time to “work until completion” like He does (Philippians 1:6). When we are thirsty for Him, the Holy Spirit oftentimes shows up in our lives in work clothes and with a shovel in hand. He is ready to dig a well in us that takes time, but that well will sustain our thirst forever. He is ready and eager to get involved with the mundane areas of our lives that very few people will ever see, like parenting, grocery shopping, paying bills, mowing the lawn or simply resting at home. David was able to stand before the giant Goliath because he had already taken the time and energy to defeat the lion and the bear (I Samuel 17:36). He dug a well of victory in sheep fields by doing the hard work of a shepherd. He meditated in stillness on being the Beloved of God, and he actively defended his flocks. When he stepped on the battlefield, he accessed this “water of victory” in the moment for himself and for Israel. Prompt: We have the chance to be like David. Pray, “God, please help me dig my own well with you. I accept your invitation to live a life with constant access to you and victory. Where do I start?” Listen to His voice. Write down God’s response, and begin to access the “living water” of Jesus that is inside of you (John 4:14).